KINGSTON, Mass. - One year. Two games. Two shootouts. Two different outcomes. 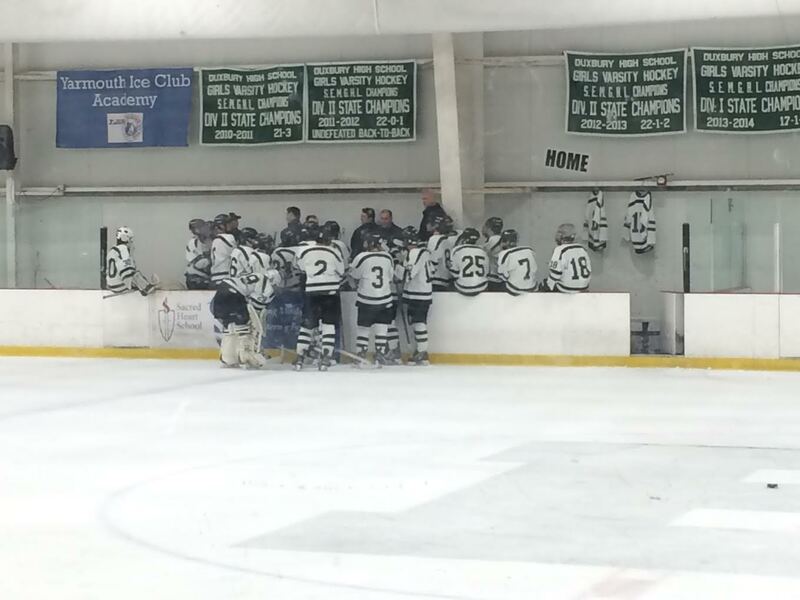 On Tuesday afternoon, it was the Duxbury High School hockey team (3-1-1) who came out on top over the Natick Redhawks (2-0-2), by a final score of 2-1. The Dragons did so in the first round of the Island Creek Oyster Cup at The Bog in Kingston. The shootout began with 11 missed shots -- six from Redhawks and five from the Dragons. The Dragons only had five men on their shootout list and, since their top forwards were unable to put one past Redhawks junior goaltender Mason Bailey, the team opted for a defensive player -- senior captain Hunter Smith -- to give it his best shot. Unexpected? Sure. Effective? Yes. Evidently, Dragons head coach John Blake made the right decision there. Last season -- in March -- the Dragons fell, 1-0, to the Redhawks in the Division 1 South quarterfinal via shootout. 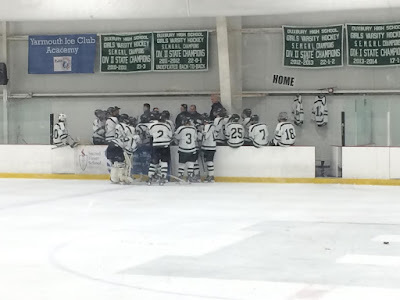 This time, the game went into overtime to see who would be be playing in the Oyster Cup final on Thursday against Bridgewater-Raynham. In the MIAA standings, Tuesday’s game counts as a 1-1 tie. For a while, though, it looked like a potential 1-0 Dragons win. But with under four minutes remaining, Redhawks senior defenseman Kyle Shea would change that, scoring his team’s lone goal of the game. It was an anomaly for Dragons senior goaltender Lee Kennedy, who recorded 16 saves in regulation and overtime (plus six more stops in the shootout). Defensively, Blake said his team received strong play from Smith, Matt Campbell (senior), Ben Quinlan (senior), Will LeClerc (junior), Teddy Griffin (sophomore) and Jack Wood (sophomore).